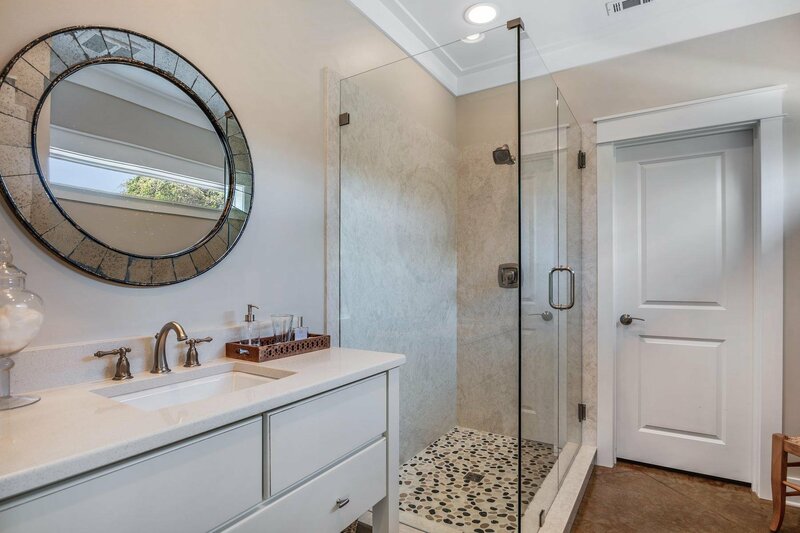 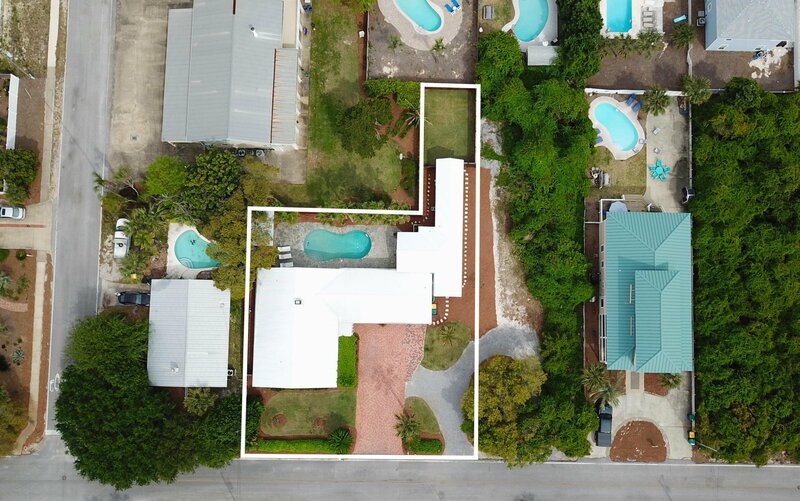 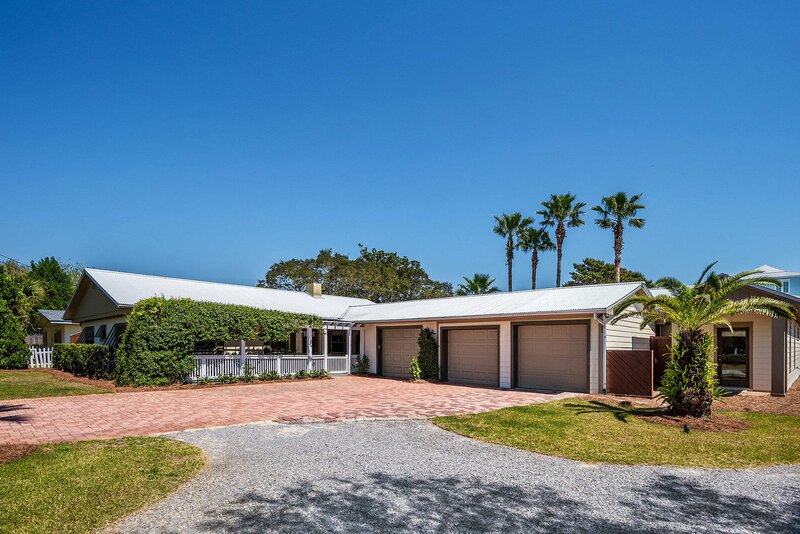 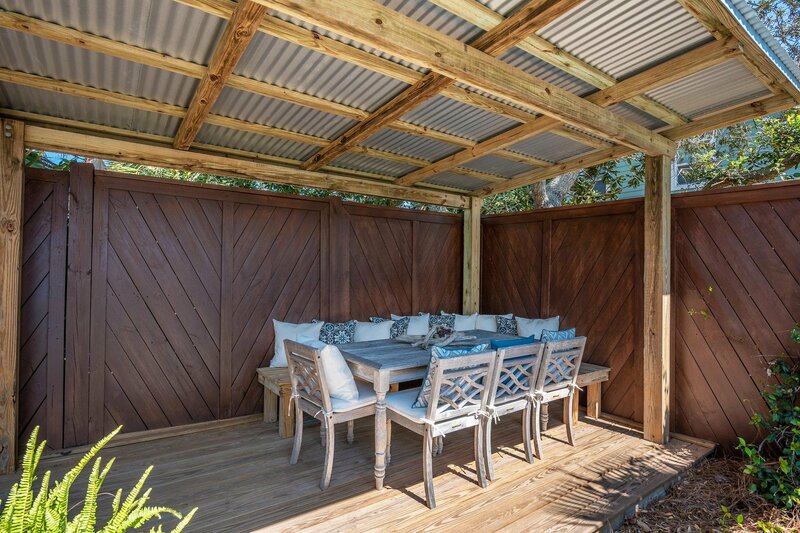 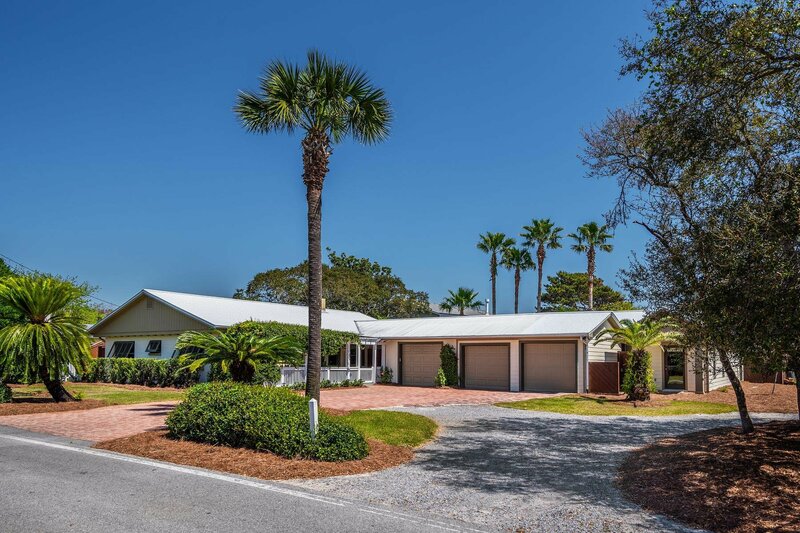 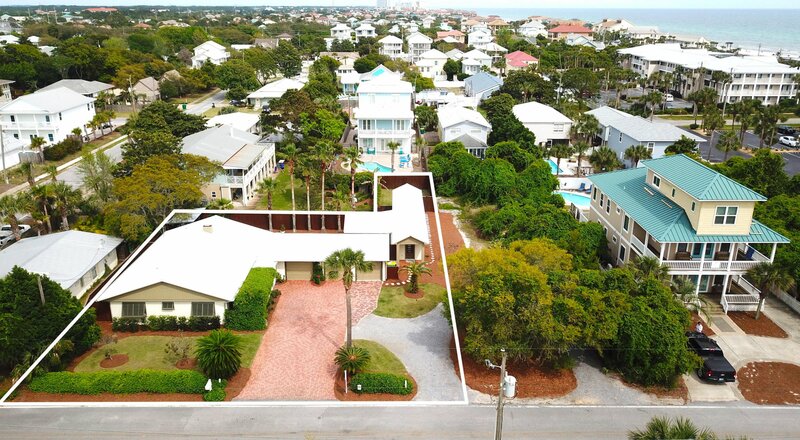 Classic mid-century modern beach cottage with renovations and additions located less than a block to the beach in the sought after community of Crystal Beach. 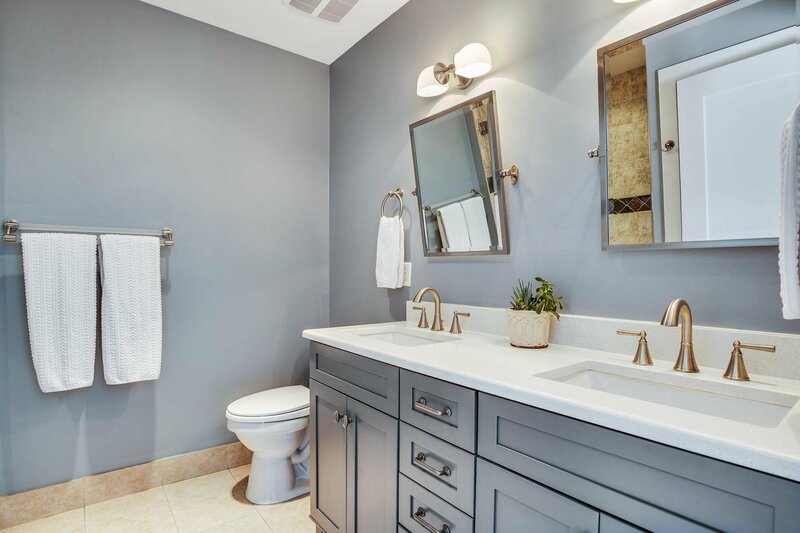 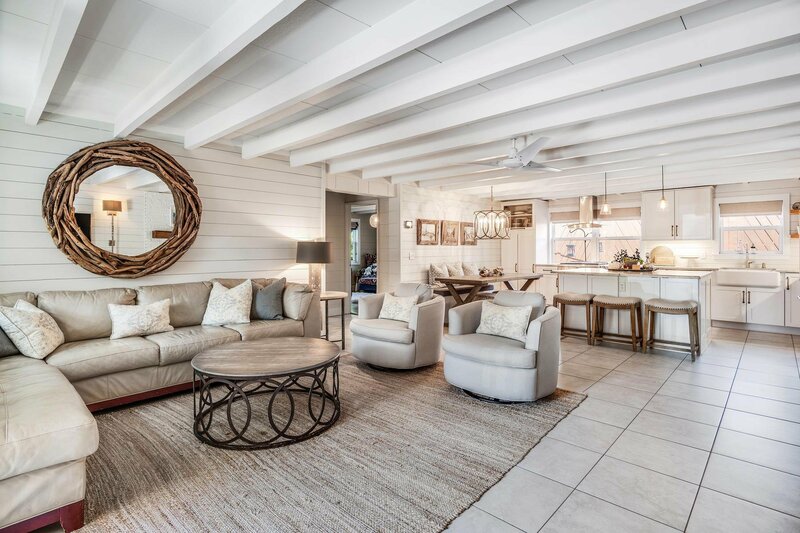 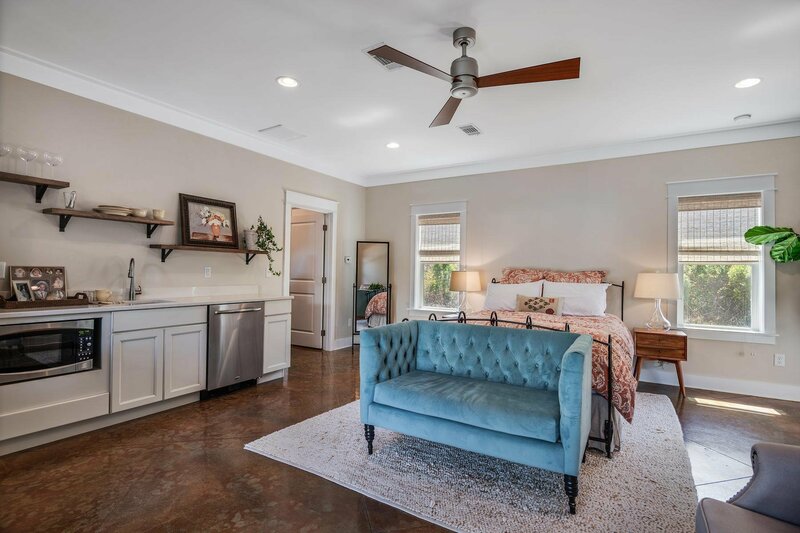 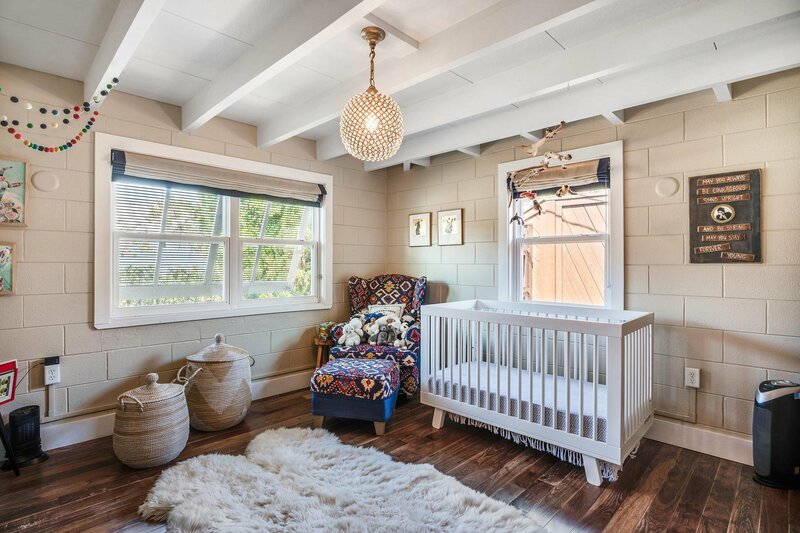 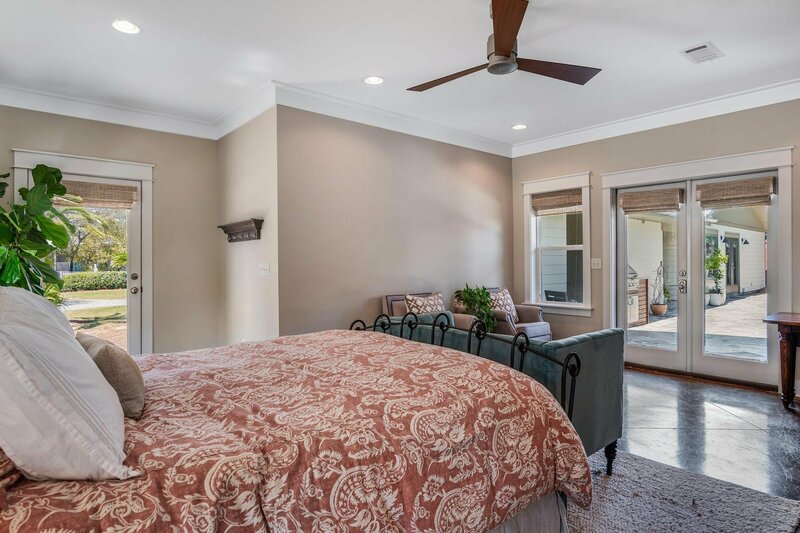 White shiplap walls and beamed ceilings are just a few of the interior features in this remodeled home. 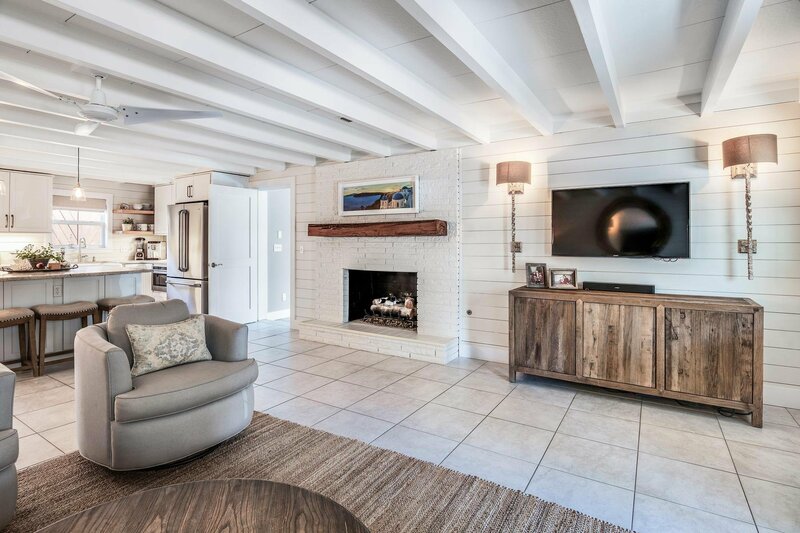 Living and entertaining is simplistic with the open floor plan that is centered around a whitewashed brick, gas fireplace. 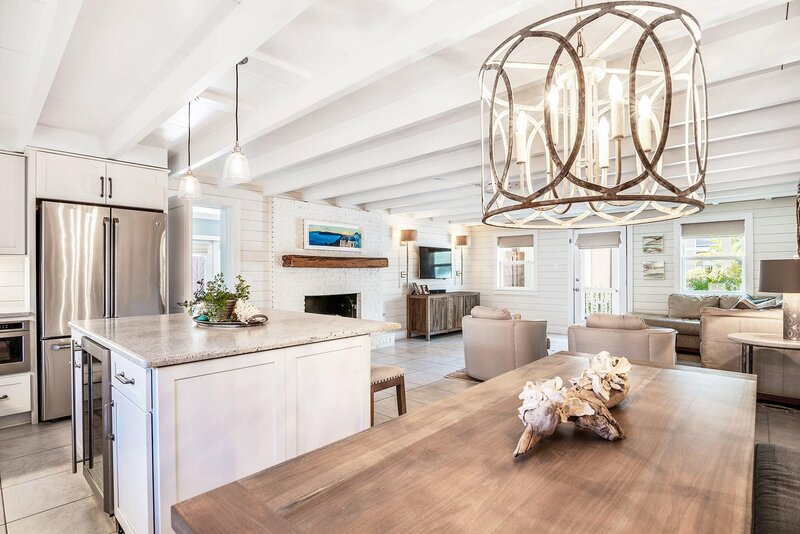 The remodeled kitchen provides a functional layout with casual dining banquet and breakfast bar off the central island. 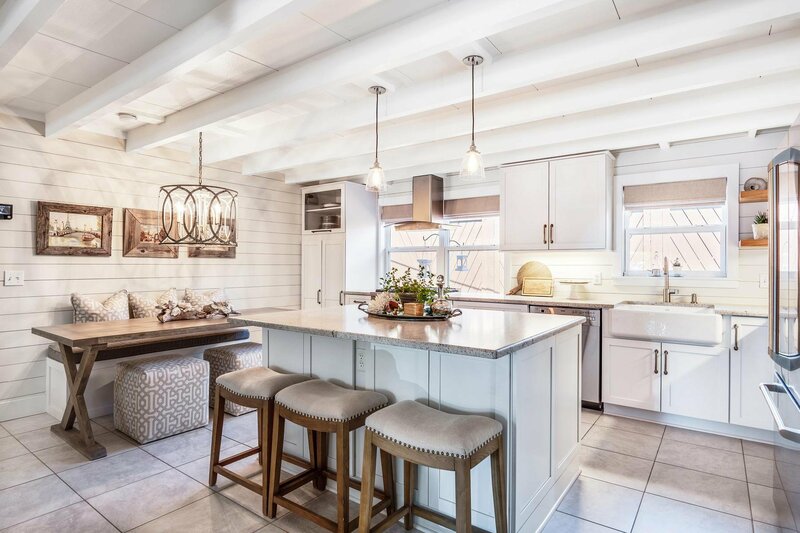 White cabinets, stainless steel appliances including a gas range maintain the light, contemporary look. 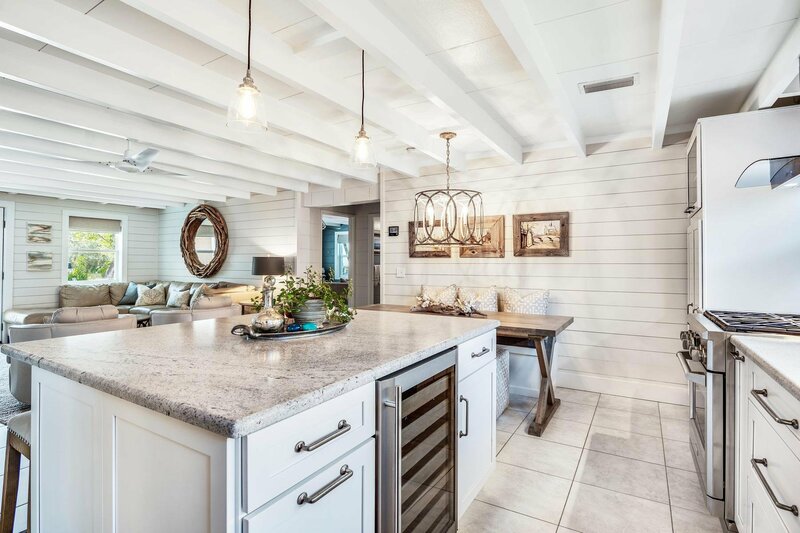 Tile floors and a farm-style sink deliver stylish touches while leathered granite counter tops finish off the kitchen. 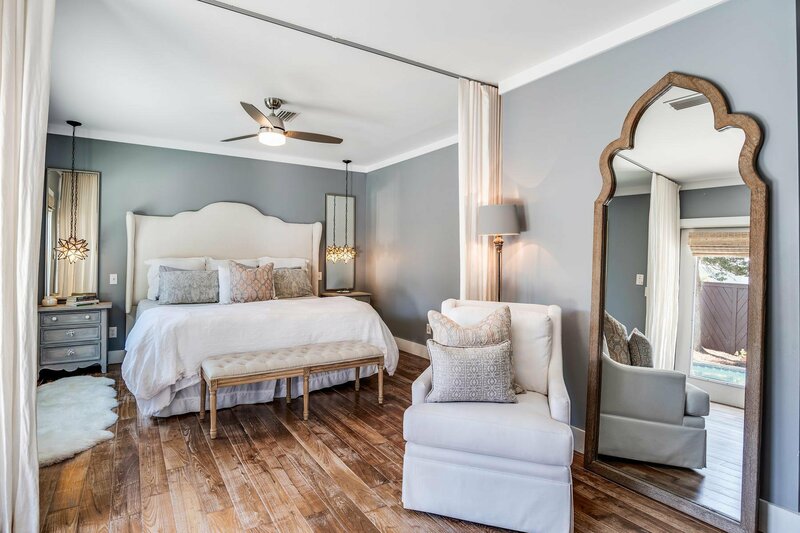 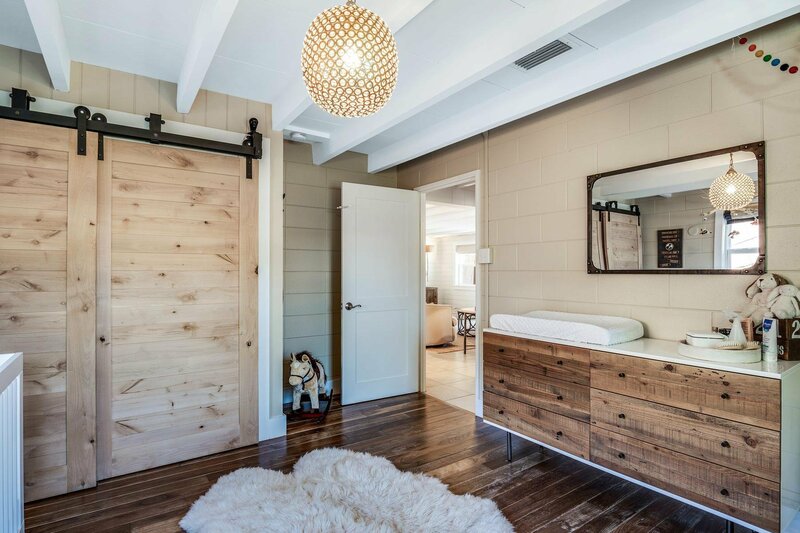 The guest bedrooms have brushed oak hardwood floors and are complemented by sliding barn doors on each closet. 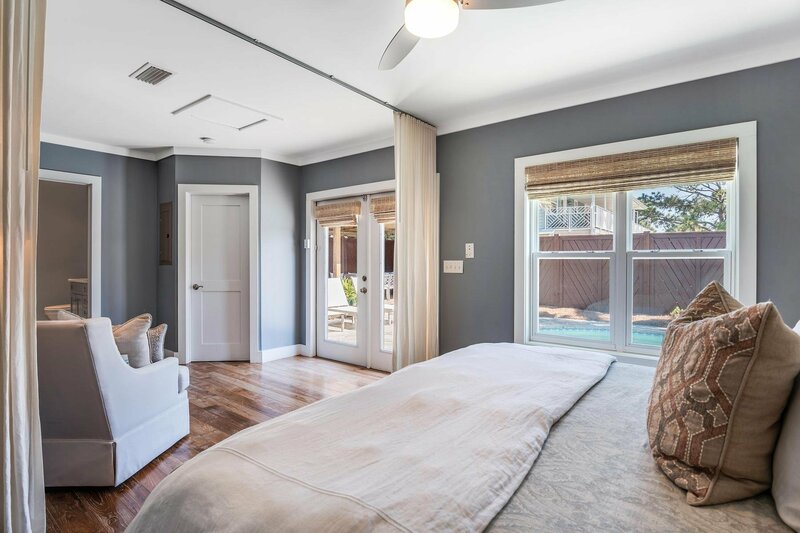 There's ample space in the master suite for a sitting area overlooking the private backyard and pool area. 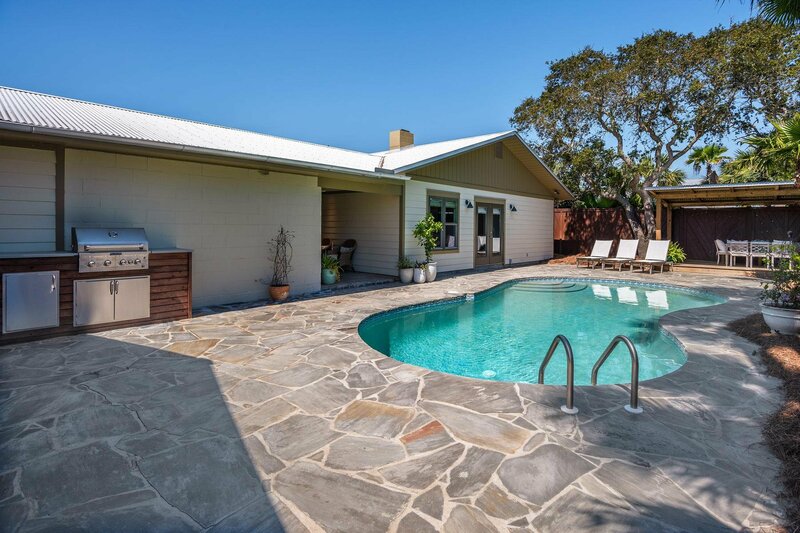 A stone-paved deck surrounds the pool which includes a covered sitting or dining area where everyone can enjoy the backyard. 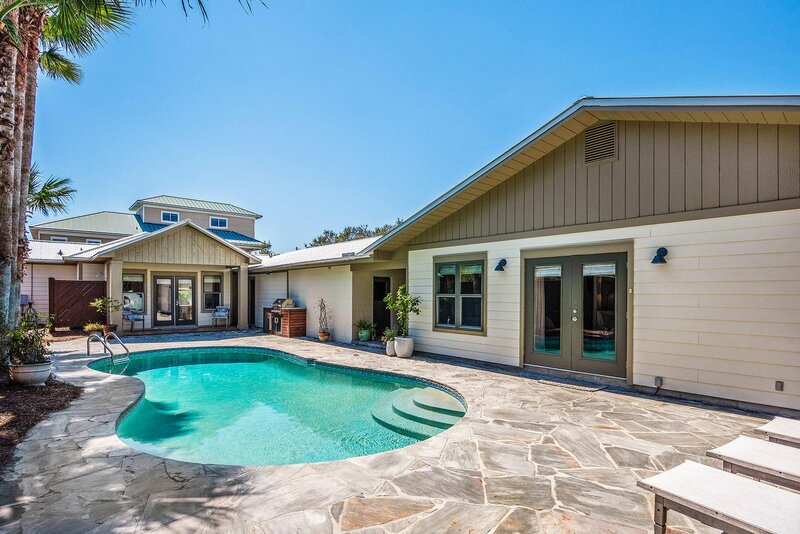 There is a detached pool/carriage house with its own entrance, guest bedroom, and bathroom. 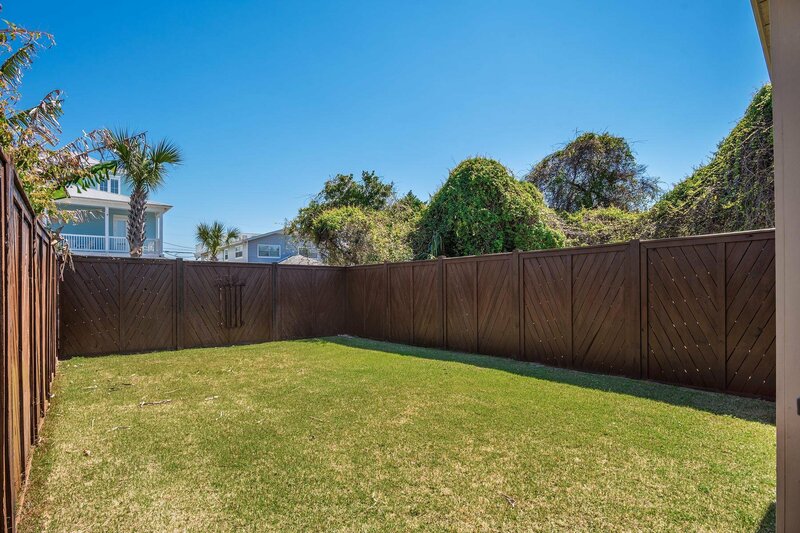 The remainder of the property includes an enclosed lawn area perfect for pets and kids. 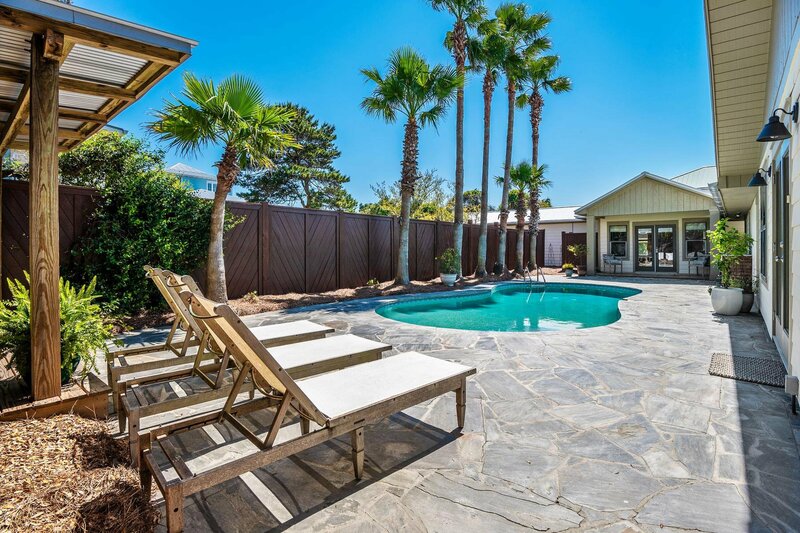 With convenient access to restaurants, shopping at Destin Commons, and multiple beach accesses, it's easy to see why Crystal Beach is such a sought after location along the coast.